An interjection is a kind of exclamation inserted into regular speech. Actually, it is a brief and abrupt pause in speech for expressing emotions. Interjections don’t have a grammatical function in the sentence construction. They usually cannot be modified or infected. They do not have to have a relation to the other parts of the sentence. In spoken language, interjections are the words we instantly use to show our reaction to something which influences our emotion. They are the initial reaction and sometimes do not even make sense. 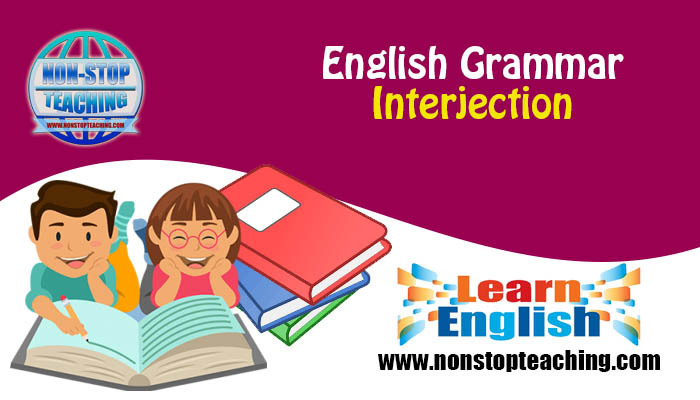 However, for formal speech or writing, using interjections is not appropriate. Rule 1: Interjections express sudden mood, emotions, and feeling with emphasis. There are also many taboo words that are usually used in everyday conversation but not in formal aspects. These words fall into the category of interjections. Wow! That’s an amazing scene. Aw, I did not want him to come. What? You never told me that! Rule 2: Some interjections interrupt a conversation or a thought or hold someone’s attention for a moment. These are just sounds, not words because these sounds do not make any sense. Your, um, shirt has a stain on the back. I want to, uh, ask you out on a date. Rule 3: Some interjections express only yes or no. Yes! I will most definitely do it. Nah, we are not going. Rule 4: Some interjections are used to get someone’s attention. Yo, Alex! Get in the car! Hey! Will you give me that ball?